Sunday, September 15, 2019 1–3 p.m.
Join Theresa Mycek for a tour of the food gardens and learn about the regenerative gardening methods being implemented here. Unity is a native nursery and garden inspiration center offering services and products that foster a community living in harmony with nature. 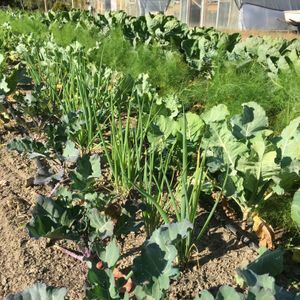 For the past three years, the farm has been growing produce, flowers, and vegetable and herb starts with sustainable methods. AFter the tour, learn how to make your own hardneck garlic "braid" to bring home.